Do you and your spouse long to seek and serve God together? Clint and Penny Bragg believe that, just as every individual has a calling from God, every marriage has a specific mission. And they want to help you find yours. In this weekly guide for couples, the Braggs will help you pursue a lifelong spiritual journey. You'll begin to engage together by writing a marriage mission statement. Through lessons drawn from military strategies, you'll then be challenged to get in step with God's commands, combat fear, and defeat the enemy's attacks in every aspect of your marriage. You'll learn to safeguard your relationship from division and exercise humility. Your Marriage, God's Mission is full of innovative ideas such as assessment tools, guided exercises, and original prayers to deepen your relational intimacy and recognize how God's mission unfolds over time. 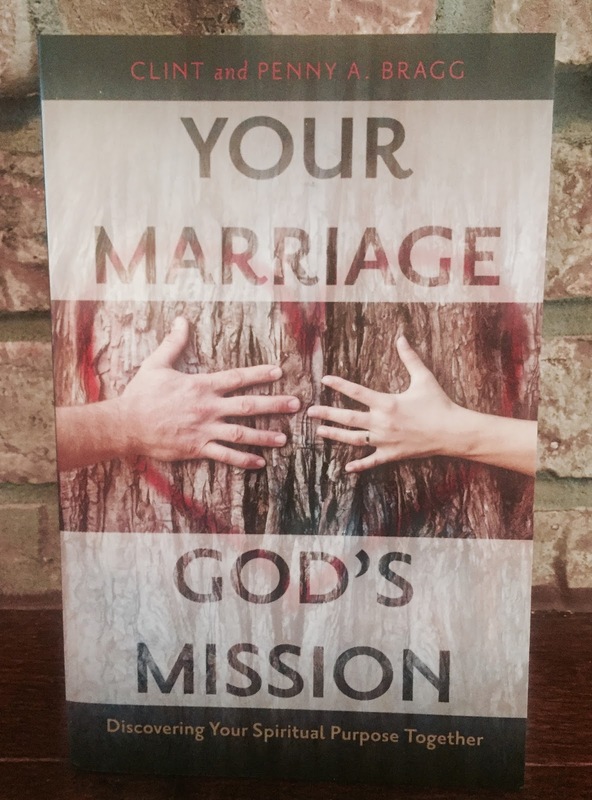 Informal and practical, with links to videos of couples sharing their hard-won experience, this book is a fresh look at how any couple can discover God's mission for their marriage by discovering more of Him. My Thoughts: I received this book in exchange for reviewing it and although it is different than my normal picks I'm very happy I did! This book was absolutely wonderful to read. I love that it's set up as a weekly guide, and is made for couples instead of just a man's or a woman's book. That alone made the book a winner for me. It's written in an easy going manner and the ideas are new and well thought out! The extra resources are a great help too!